Our product range includes a wide range of magnetic stirrer and overhead stirrer. Owing to perfection and quality oriented approach, we have carved niche in the industry by offering Magnetic Stirrer. 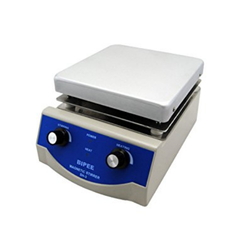 The offered magnetic stirrer is a laboratory device that employs a rotating magnetic field. We offer this magnetic stirrer in different specifications, as per the ever-evolving requirements of customers. In addition, our magnetic stirrer is checked by our quality experts on well-defined parameters, in order to deliver a flawless range from our side. By keeping track of current market development, we are offering a distinguished assortment of Overhead Stirrer. 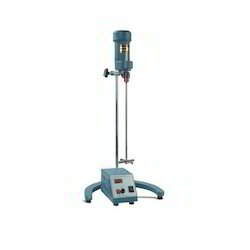 Our stirrer comes with electronic adjustment for a variety of needs in terms of viscosity. This stirrer is available from us on numerous specifications so as to meet the variegated requirements of customers. In addition to this, our stirrer is offered in different specifications as per the requirements of customers.